"…our cumulative decision on the adoption of eLearning could have important social consequences. They could influence who will, and who will not, have access to opportunities for self-development in the new economy." Martyn Sloman makes this powerful statement in his new book, E-Learning Revolution, published by AMACOM, the American Management Association. If Sloman is correct (and we believe he is), eLearning will make it possible for millions more people everywhere to learn, grow, and develop themselves. We're pleased to be featured in the book as a case study organization that's excited about and trying to use eLearning to help people make use of mentoring in all parts of the world. If you haven't already, we hope you'll join us on the eLearning quest. E-learning (also written eLearning) is the acquisition of knowledge and the development of skills and attitudes through the use of electronic devices. Most people think of eLearning related to computers and the Internet, but electronic devices also include phones, other hand-held communication devices, and even CD/DVD/cassette players. Why Use It in Mentoring? To prepare as a mentor, mentee, or coordinator. To enhance learning once relationships and programs are underway. To perform well you need to develop some specialized mentoring knowledge, skills, and attitudes. Ideally, you'll attend in-person mentoring training to acquire these. However, if you can't travel to those events, eLearning can provide much of what you need. After the initial learning about mentoring, partners and coordinators can use eLearning to help mentees develop and reach their goals. Mentors and coordinators can direct mentees to the multitude of learning opportunities on their intranets and the Web as well as use e-mail to transfer knowledge, encourage, and provide feedback to the mentees and to each other. A big advantage of software/courseware is that people can learn at their own pace and convenience. Those who don't comprehend spoken English (or whatever language you're using in your partnership/program) well can learn quickly from courseware that allows them to read and see diagrams/pictures. Voice narration as a backup gives them two chances to comprehend content. Another idea is to talk with mentoring publishers about licensing their mentoring materials. For example, several organizations such as Microsoft, Burlington Northern Santa Fe Railroad, Lockheed Martin, and Hewlett-Packard (HP) license some of our popular mentoring materials and make them available on their intranets for employee learning. 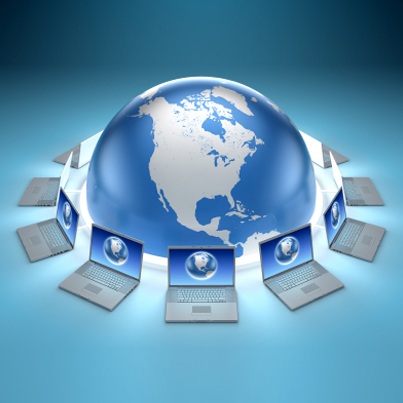 Electronic learning events, often called webinars and webshops, take place on the Web/intranet. Synchronous or live events occur in real time. They include one or more presenters and learners logged on to their computers and (usually) also communicating on the phone. Learners prepare in advance by logging onto the website and learning navigation tools that allow them to submit questions, respond to polls, evaluate the training, etc. Asynchronous (previously created or pre-recorded) webinars/webshops are "time shifted". They're created or broadcast at one time, retained, and are available for access later. This is a valuable, fairly "low tech" option that uses the phone. Learners receive materials in advance (slides e-mailed to their computers or hard copies of materials through the mail). Once the live event begins, the facilitator presents content, asks questions, answers participants' questions, and otherwise guides learning. Some include telephone "breakout rooms" for pair practice sessions. Many organizations, such as Microsoft and HP, now have internal administrative websites dedicated to mentoring. The websites feature mentoring program information, sign-up applications, tips, tools, success stories, and software for mentor/mentee training. The more advanced sites provide an electronic matching tool that links mentors and mentees and provide mechanisms to track progress and encourage participants. Contact us for more information. Provide a number of learning options. Not everyone likes or wants to use eLearning. Make it one option of a total "blended solution" for developing mentors, mentees, and coordinators. Also include in-person training, printed materials, audiocassettes/CDs/videos, one-on-one coaching by the coordinator, and opportunities to connect with other learners. Make it easy to use. People are still learning how to use eLearning. Offer some printed or e-mail guidelines. Help them set up their computers. Let them practice with a demo. Be available for lots of questions. Have a technical person standing by for live events, and provide a way for participants to ask him/her questions without delaying the entire group. Expect challenges. People have various types of computers, software, and modems that can prevent or delay access. For live events, some participants probably won't be able to log on no matter what you and they try. Always provide backup materials in case people can't log on, the computer crashes, or the phone goes dead or is too full of static. Be patient and encouraging. Most people don't like to admit they don't know how to use features of hardware or software. Introduce processes gradually and provide encouragement appropriate for each person. Despite some disadvantages and glitches, eLearning seems not only here to stay but one of the most promising, exciting, and inclusive learning opportunities ever created. We encourage you to get on board! Let us know how you're using eLearning in your mentoring efforts!